Our providers are on call 24 hours a day, 7 days a week. If you have an after-hours emergency that does not require an ambulance, please call our office at 803-980-7337. Please do not call for routine matters such as referrals, shot record requests, or an appointment time. Those calls should be made during Office Hours. The after-hours message you will hear will give you instructions on how to leave a voicemail message for our providers. 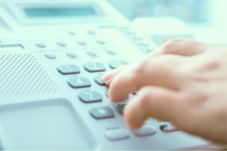 Our phone system will page the on-call provider who will call you back within 30 minutes. Please do not forget to leave your phone number. They cannot call you back without it! If you do not hear from us within 30 minutes, please call back. More specific information can be found in our Office Policies. During business hours, if you have a routine question about your child, you can call our nurse triage department for guidance and/or advice. Our triage staff follow the Barton Schmitt Pediatric Telephone Protocols, but our individual providers may have their own protocols that may apply to certain calls. Any phone advice is reviewed by your provider. Our triage nurse is available to answer questions on a wide range of topics, including whether a child needs to be brought in for a visit, or for advice on what to do for a gassy baby. Most important to know about our nurse advice staff is that we don’t just give the answer to your question without understanding the full picture of what is going on with your child. For example, you may call us for a Tylenol dose, but we would not be doing our job if we didn’t ask why you needed it. Maybe your child shouldn’t get Tylenol, but a different medicine, or none at all. Maybe your child would be better served by a visit with one of our providers. Either way, we would not be practicing responsibly if we simply gave you the dosage and hung up. We take pride in providing you with care that is as comprehensive as possible over the phone. Our Saturday hours are for urgent care only made by appointment. These hours are typically 9:00 am - 12 noon, but they may vary if there are not enough patients needing an appointment. We also do not allow pick-up of prescriptions, school/daycare/camp forms, shot records or other items, since we cannot be guaranteed to be open as late as you may need. Call first thing in the morning in order to get on the schedule to see the provider. Saturday charges will apply. For more information, please see our Office Policies. We do not accept walk-ins. We ask that you call to make your appointment so that we may prepare for your visit. Please do not try to add-on another child once you arrive. If you have a concern that a brother or sister is also sick, you must tell us on the phone when making your appointment. We will always try to make your appointment with your preferred provider, but if that provider is not here or already has too many patients, we may have to schedule you with one of our other providers. We do this to optimize our schedule so that we are utilizing our resources efficiently and wisely. We appreciate your understanding in this matter. Need a form filled out? If you have a physical form (or any form) that needs to be filled out for a sports team, camp, extra-curricular activity, or any other reason, and you’ve had a routine well child exam within the past 12 months, please bring the form (do not fax it) to our office for us to fill out. You may pick up the completed form after 48 business hours (not including Saturdays). There is currently no charge for this service. Please do not fax us your blank form because of quality concerns. Please note: We cannot fill out the "physician" portion of any form until the "parent" portion is filled out first. If you need a SC Certificate of Immunization for school, daycare, or for your records, please call our office at 803-980-7337 option 3, and leave a message with a request for a shot record, your child’s name and date of birth, your name and a phone number where we can reach you. We need 24 business hours notice for all shot record requests. Shot records may be picked up Monday through Friday. If you are coming for a well child visit, however, we can give you an updated shot record while you are here. If you are calling about any of the following types of medications, please follow the directions below. For all other prescription refills, please call your pharmacy. They will contact us for refills. If you do not hear from us by the end of the day, you can call your pharmacy to make sure the refill has been filled before going there to pick it up. If we do not approve the refill, we will call you. Antibiotics will typically not be refilled. ADD/ADHD Medications You must leave a message with the nurse requesting a refill. Do not call the pharmacy. The nurse must call you for specific information before the doctor will write out a new prescription. By law, the pharmacy will need an actual prescription in their hands to fill it. We require 24 business hours notice in order to get your medication refilled, after we speak with you. Asthma Medications You must leave a message with the nurse requesting which medication you want refilled and how you’ve been using it. Do not call the pharmacy. The nurse must call you for specific information before the medications will be refilled. We will call you to let you know the prescription has been refilled, but you will have to call your pharmacy to find out if it’s ready to pick up.